Other than the Sound of Music’s “My Favourite Things” song to guide me, I didn’t know much about Austria’s food before arriving. Famous for their sweet tooth, it should be no surprise that more than half of these foods listed are delicious desserts and sweets. But that’s ok, the other 2 are fried. 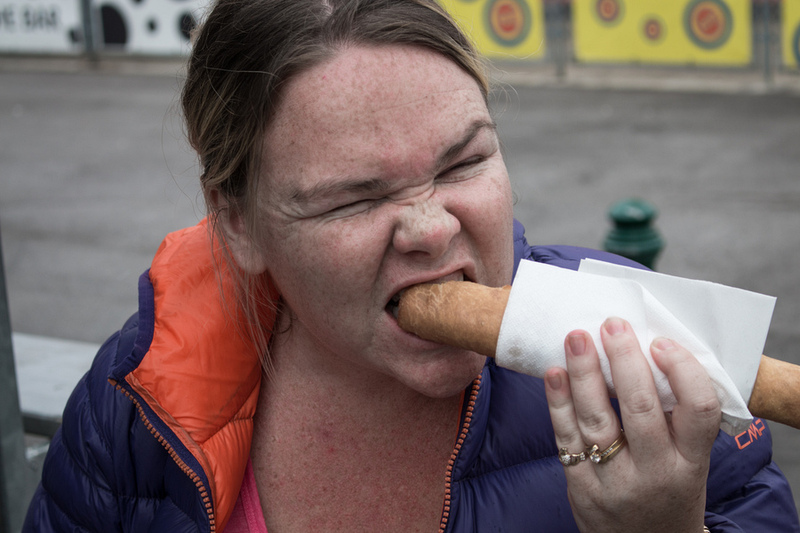 Oh whoops, ok, forget about your diet before coming to Austria. Viennese cuisine is often treated by outsiders as equivalent to Austrian cuisine, but different regions have unique methods of preparation and even their own specialities. In fact Vienna is the only city in the world that has a cuisine named after it, rather than the country. For example, there is no Austrian Schnitzel, it is a Vienna Schnitzel. The national dish of Austria. Viennese schnitzel is a very thin, breaded and deep fried slice of meat. While originally made from veal you will most likely find pork alternatives more common, since pork is nearly half the price of veal. It was first noted in a cookbook in the 19th century and is one of the best-known specialties of Viennese cuisine. I often found the pork varieties a little too thin which made them tough. So try a chicken schnitzel for a juicier dish. You should be able to find this in nearly every restaurant and it’s a sneaky alternative to chicken nuggets for kids too. Strudel became very popular in Vienna in the 18th century. It consists of layered butter pastry with a sweet filling, the most famous being stewed apple, known as Apfelstrudel. The second variety I always noticed next to the apple was the Topfenstrudel (with sweet soft cheese) that I wasn’t quite game enough to try. Strudel is usually made with puff pastry, but traditional Austrian Strudel pastry is very elastic. Purists say that it should be so thin that you can read a newspaper through it. There are some dishes a country can just nail every time. This was one of them. A family favourite, of course. Is there anything more delicious than warm apple strudel topped with vanilla ice-cream? 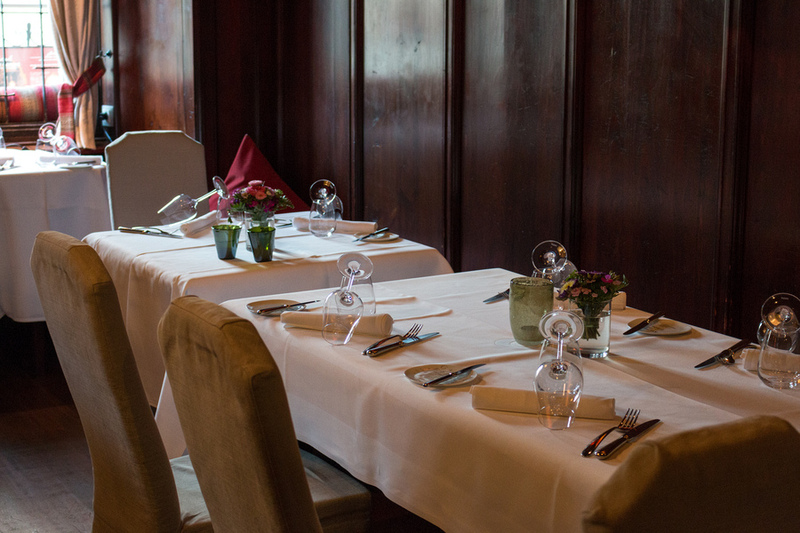 In the heart of Salzburg is Europe's oldest restaurant, dating back to 803AD, St Peter Stiftskeller. A gorgeous restaurant built right into the mountain with cosy cave rooms, open-air outdoor seating and a luxurious menu tempting the tastebuds. It was during dessert that our waiter suggested this dish. We had no idea what to expect, and what a surprise we received. 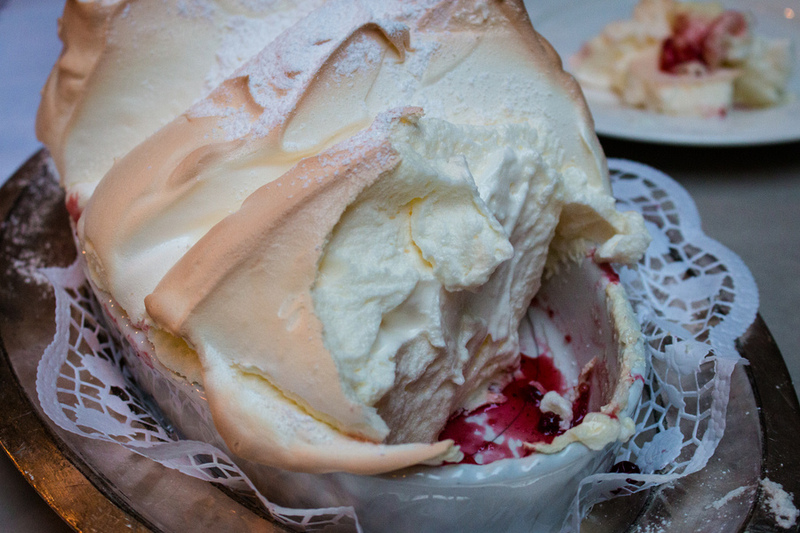 The Salzburg Nockerl is a culinary speciality found only in this city. A sweet soufflé made of eggs, flour, sugar and vanilla. 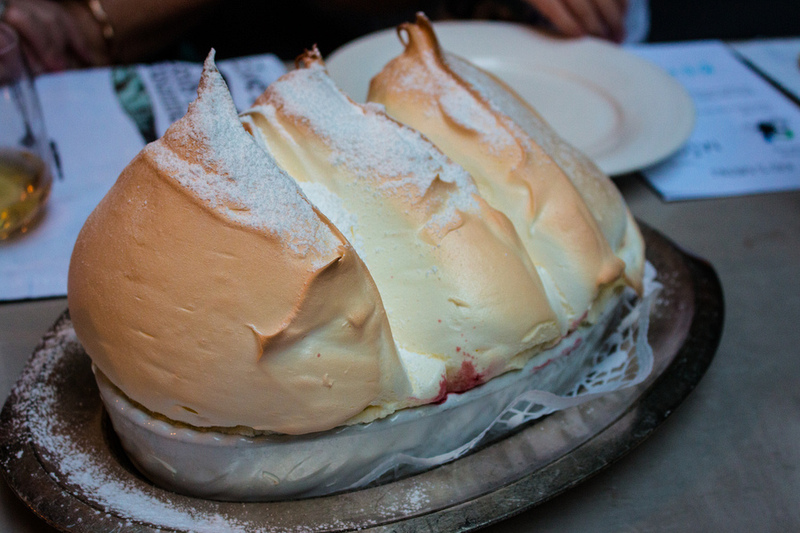 Like a meringue, but not crisp on the outside. It is always freshly prepared (thus the 25 minute wait time on the menu) and served warm with powdered sugar and a tart raspberry sauce. A technical dish that requires quite a bit of practice, as you imagine. It resembles the sweet mountains surrounding Salzburg and is very filling - we barely made it through one peak (let alone 3). Already full from my fabulous 2 courses, I managed only a few bites before giving up. It was like looking up at a real sky-high mountain and realising I didn’t have what it took to scale it’s daunting slopes. I have to be honest, it was not quite my cup of tea, and neither did Mia or Caius seemed to be fans. Maybe they were just too full by that point of the meal. Josh thoroughly enjoyed the sweet soufflé and demolished one of the peaks. The peaks can only be described like soft breasts, springy to touch and very tender. With a portion this size, order it for at least 8 people, or just skip the main course and start with dessert. As is one of Josh’s favourite quotes – life’s short, eat dessert first. The chocolate cake/torte with marmalade jam layers didn’t make such an impact on us, being overly sweet. When I say us, I mean Josh and I. Of course our kids would eat chocolate cake anytime anywhere. But I’ll take a thick slice of Black Forest over this one. Do I have to take just one piece? This cake is one of the most famous Viennese culinary specialties complete with it’s own National Sachertorte Day. First made in 1832 it’s had its fair share of controversy as a seven year “sweet war” waged over who was its original maker. In 1963 both parties agreed out of court that Hotel Sacher can use the phrase "The Original Sachertorte" and Demel Bakery the rights to decorate its tortes with a triangular seal that reads Eduard-Sacher-Torte. The cake consists of a dense chocolate cake meringue base with a thin layer of apricot jam on top, then coated in dark chocolate icing. The other alternative is two layers of soft and light chocolate cake separated by apricot jam and coated with a chocolate icing. It is traditionally served with unsweetened whipped cream. You can find them in almost all coffee houses, bakeries and hotels. 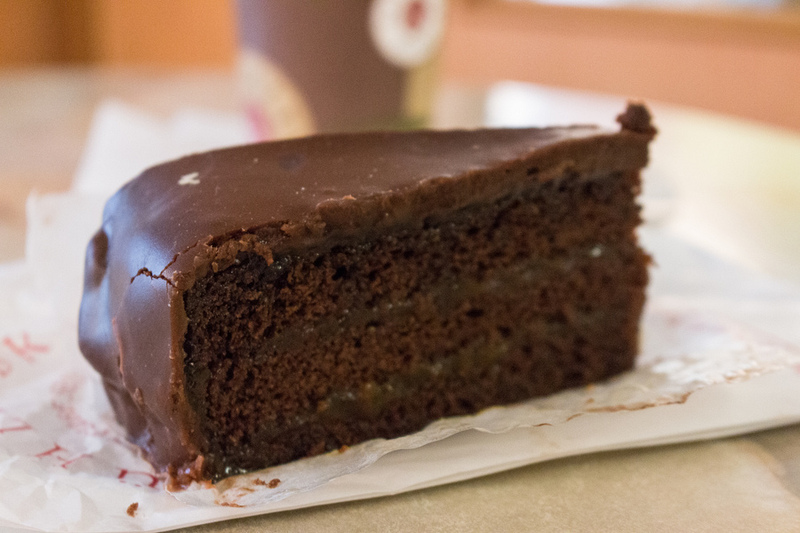 The better Sachertorte we tried was at teatime from 3 – 6pm every day in our hotel, Best Western Premier Harmonie. Apparently this dish is actually Hungarian, but I never saw it during our time in Budapest. In Vienna, however, it was a snack food served at most entertainment places such as the zoo, the palace, and the Prater amusement park. It’s basically deep fried flat bread. You can find it wrapped around a sausage like a hot dog, or stuffed with ham and cheese in the middle, but most people eat it without toppings, el plain-o. Ok, I feel bad that all these dishes seem pretty unhealthy. So I’ve added a bonus #6 to the list to appease my conscious. This boiled meat dish is somewhat healthier and served with horseradish sauce (or just grated horseradish), along with potatoes. This was actually the favourite dish of well-known 19th century Austrian royalty, Franz Josef. Josh tried it at St Peter Stiftskeller in Salzburg which was a more modern twist on this traditional dish. Additionally if you are hoping for a snack after indulging in all these delicious Austrian foods then head to a Fürst shop in Salzburg to try a Mozartkugel (English: Mozart Ball). Created in 1890 and named after Mozart, these chocolate balls are still made by hand to this day. A ball of green pistachio marzipan, covered in a layer of nougat, is placed on a small wooden stick and dunked in a dark chocolate coating. Once the chocolate is cooled, the stick is removed, the hole filled and the ball is wrapped in blue-silver tin foil. According to the Fürst company, their employees produce approximately 1.4 million Mozartkugeln by hand every year. There is no trademark on the chocolate so you will find lots of imitations, but the real ones can be found in four locations - the Old Market, Ritzerbogen, Getreidegasse and near the Castle Mirabell). Why are the popular dishes always the least healthy? Well, when you are on holiday you may as well go ahead and enjoy Austria’s favourites. The diet can always wait until you get back home. Oh, I am so sick of Mozartkugeln! I have been teaching English on and off in Austria for the last four years (I'm typing this from an Austrian school as a matter of fact) and I've been given these things so many times as gifts, I can't stand them any more! My students also find it really funny that there's no translation for 'schnitzel' or 'strudel' and that we actually use these German words in English! I do like Austrian food, but it can be a bit repetitive sometimes: some spice, perhaps? Not really gonna happen. We've just finished travelling through Austria and I couldn't quite believe how much dessert there was, and how big the servings were! I'm Innsbruck we found a strudel shop that sold so many different sweet and savoury varieties. We only had one each but could have stayed all day! I want ALL OF THIS. But especially the nockerl - I've never heard of it before, and it looks absolutely scrummy! Also if you don't want the sachertorte, just send it right this way. Austria has the best pastries!! It's not all about strudel and sachertorte. We recently went to Zauners in Bad Ischl - and wow!! I have spent 9 years in Austria, all these foods you can find also in Slovakia, Czech Republic and Hungary, Schnitzel is Rezen or Rizek, in Slovakia or Czech Republic, Langos is best in Hungary, fresh made with sour cream and cheese. Tafelspitz is easy but great dish. 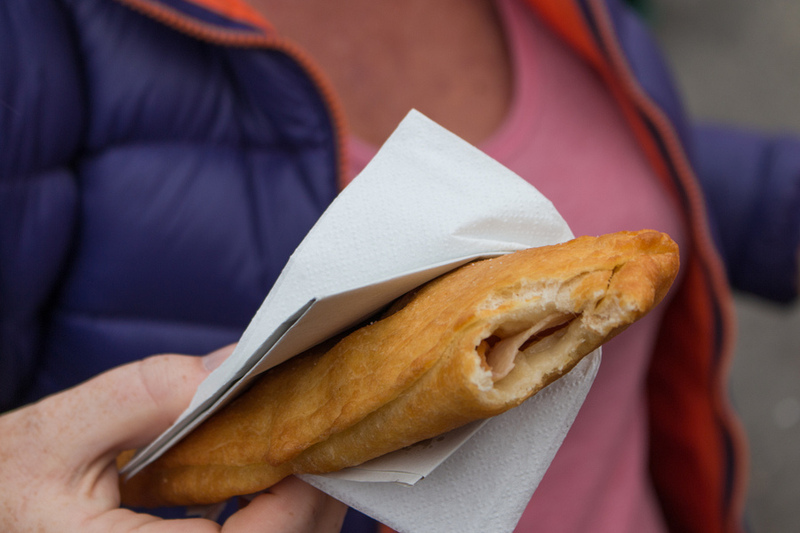 Once in Vienna, try to visit Nashmarkt and Strudel Show in Schonbrunn.